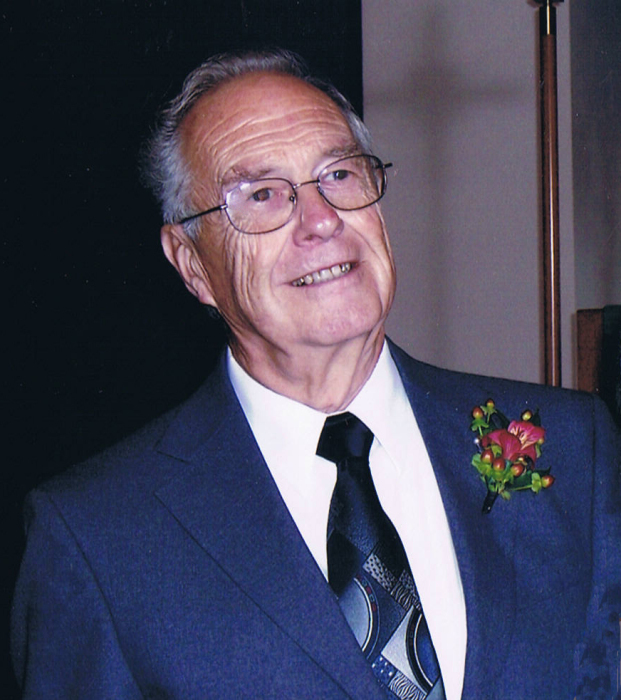 Joseph Patrick Fleming, 89, of Virginia, MN, died on Sunday, March 18, in the presence of family members at Cherrywood Pointe in Forest Lake, MN. Born on March 6, 1930, in St. Cloud, Minnesota, Joe graduated from St. Cloud State University with degrees in history, education, and psychology. After serving in the army during the Korean War, he married Joyce Angela Bartoletti from Virginia, Minnesota, and established a family there. He was employed as a teacher, counselor, and administrator in public education at several Iron Range cities—Cook, Orr, and Aurora-Hoyt Lakes. In retirement, Joe was actively involved in the Virginia Municipal Hospital volunteer organization, the Virginia Lions Club, and the Holy Spirit Catholic Church choir. He relished music and never relinquished a chance to sing and play popular songs from memory on the piano. Joe is survived by his children: Anne (Tim) Mellesmoen, Tom (Naomi) Fleming, Barbara (Jim Nelson) Fleming, Kathy (Brad) Venaas, Mary (Bob) Baronovic, Jean (Buddy) Mell, and Patricia (Steven) Frank, seventeen grandchildren, and seventeen great-grandchildren. In Joe’s final care unit, his walls were festooned with photographs of his offspring in whom he took great delight. He was preceded in death by his wife Joyce, grandson Michael Monson, and siblings: Donata, Thomas, Robert, Paul, Richard, and Rosemary. A gathering time for family and friends will be held Saturday, April 13, 2019 from 10:00 a.m. until the 11:00 a.m. Mass of Christian Burial at Holy Spirit Church in Virginia. Reverend Father Brandon Moravitz, Celebrant. Inurnment will take place in Calvary Cemetery at a later date. Memorials are the preferred way to honor Joe’s memory and may be directed to Holy Spirit Church, the Virginia Lions Club, or Essentia Health East Range Hospice.